I think I originally found this idea on Pinterest. They are super simple and you, more than likely, already have all the supplies laying around your house. Win-win. 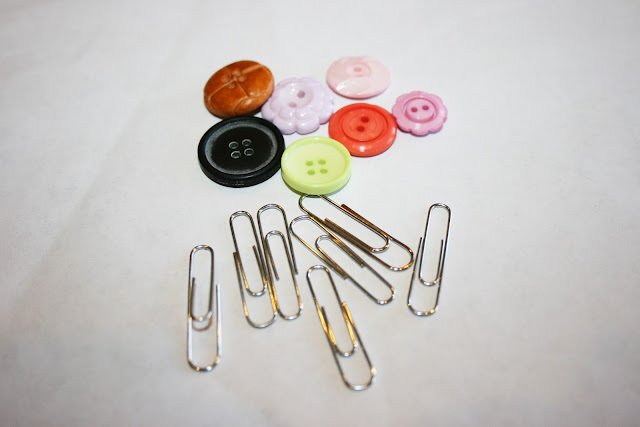 All you need are buttons in whatever size/colour you like, paperclips, and a hot glue gun. I wanted to do some girly coloured ones, and some more masculine ones for my husband to use. 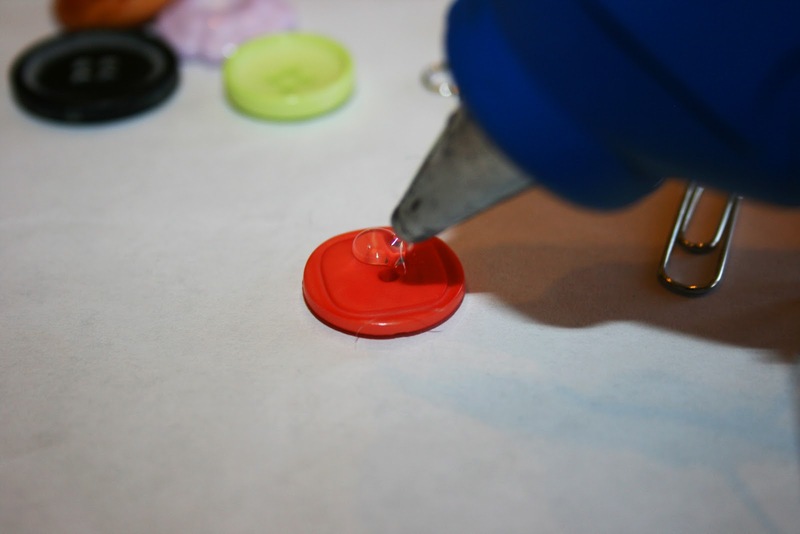 Then you place a small dab of hot glue on the lower half of the back of the button. Place the paperclip in the glue and hold it until the glue hardens. 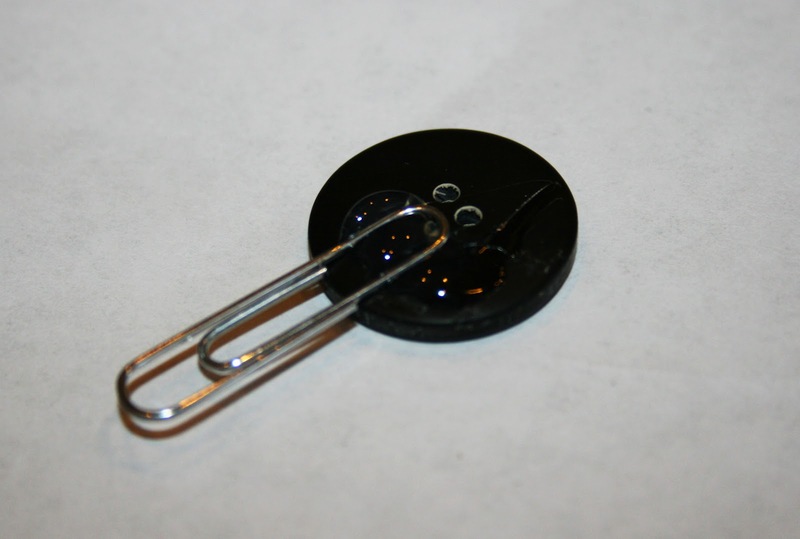 When placing your paperclip on the button, make sure that you are gluing the one-loop side of the paperclip. 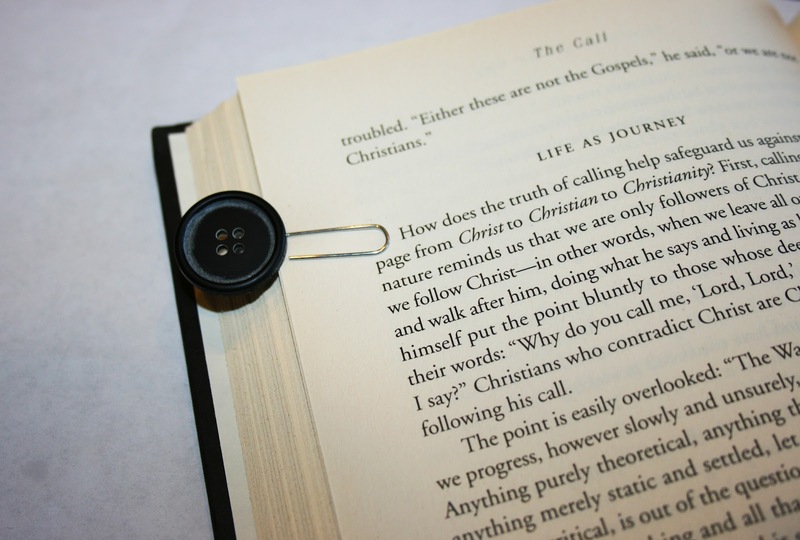 Here are all of my completed bookmarks! I like that these are small and cute, but also hold tightly to the page so they don't just fall out of the book if held with the page-side down. Plus, you can use them to simply mark the page...as shown below. 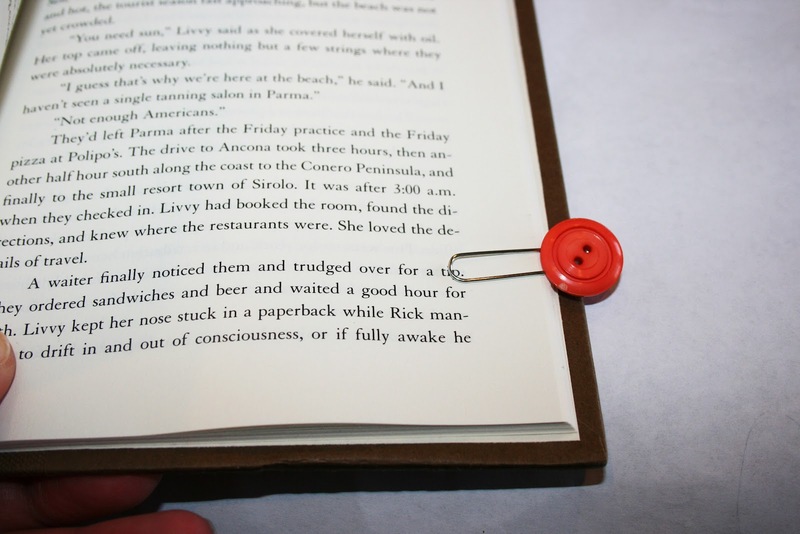 Or you can even use them to mark a specific sentence/paragraph that you stopped on. I always find myself passing out asleep mid-page, so I think that's awesome that I can mark the exact spot where I stopped reading. 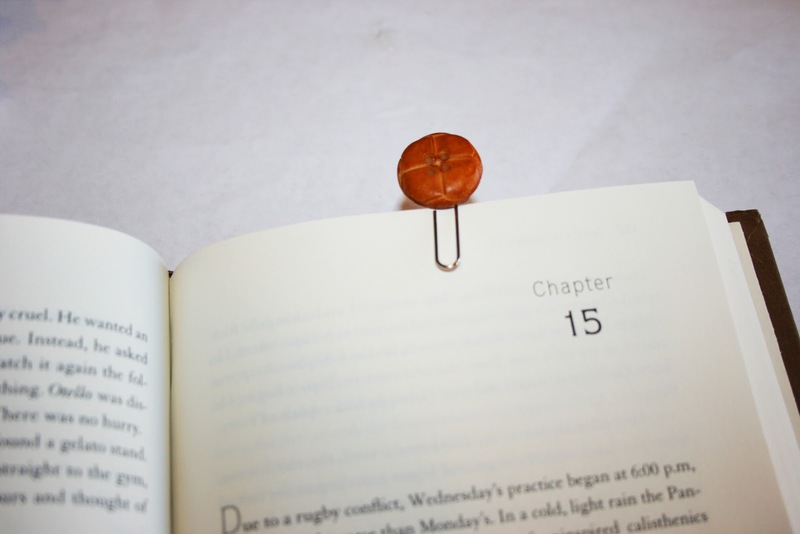 Hope you like your cute little button bookmarks! I know we are going to love ours!